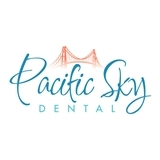 Pacific Sky Dental (Daly City) - Book Appointment Online! At Pacific Sky Dental, we pride ourselves on being a full service dental office. We service patients from as young as infants to the elderly. We aim to deliver compassionate care tailored to your specific needs. We accept most PPO insurances and offer a free verification and review of your insurance.